Monsoon Gully Conservation Area – increased protection, donations sought! 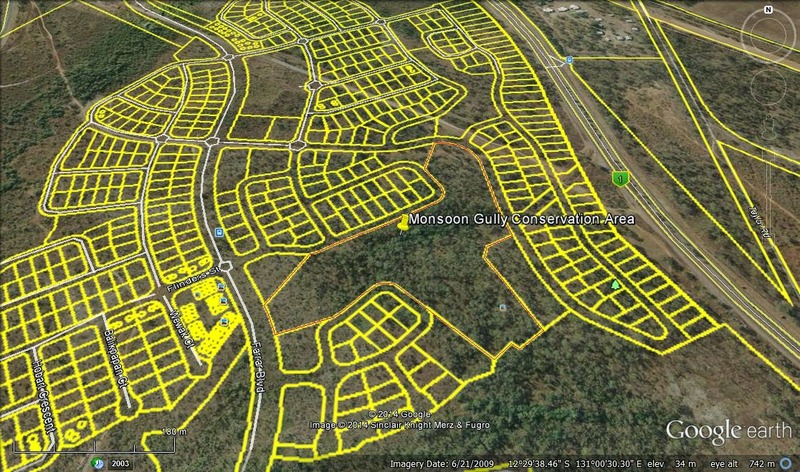 The Monsoon Gully Conservation area in Johnston is now within a newly released housing estate. Its chances of being conserved in its natural state are on a countdown due to the loss of surrounding woodland and the closeness of Camm St with houses which now parallel the gully. I’m writing a 25th Anniversary Federal Landcare funding application to assist with the Gully’s further protection. This application is due to be completed by midday on the 20 October 2014 so it is a race against time! 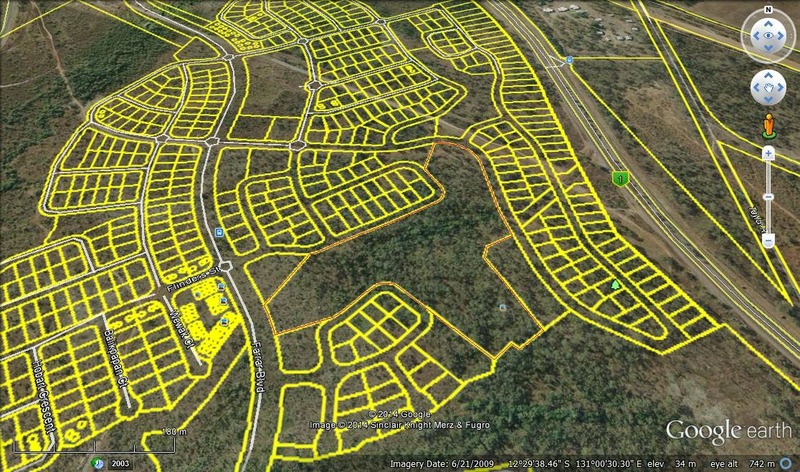 Consultation is progressing with current stakeholders – NT Crown Land Office, the developer URBEX, the NT Department of Lands Planning and Environment and Council on this issue of how we protect this newly exposed Conservation Zone. The Monsoon Gully area needs interpretative signage to engage and inform community, pedestrian only access; boardwalks to protect the fragile creek banks and rocky escarpment; weed and erosion management; revegetation along the boundaries. These are all eligible activities for the funding grant. Here’s a map of the area! Donations of money or in-kind support are sorely needed to manage this project and will increase our chances of being successful with this grant and the ongoing conservation of the site! If you are interested to help with this project please contact Sue on 0434348950 or mitchellcreek2014@bigpond.com to discuss specifics of where your support will be most useful.